FCC Chairman Newton Minow’s often-repeated line about the television industry came as a surprise to members of the National Association of Broadcasters on May 9, 1961. After all, the medium was not quite 15 years old, and not every American had access to a TV set. Most viewers who did suffered from limited options: only three television networks existed at the time. Minow’s speech got to the point a lot quicker, and had the power of the U-S government behind it. The Chairman cited a seemingly-endless array of game shows, situation comedies, and private eye dramas. He also mentioned ubiquitous TV advertising, long before infomercials ruled the late-night airwaves. But Minow’s view evolved into mainstream fact. Bruce Springsteen’s 1992 hit “57 Channels (and Nothin’ On)” at least partially echoed his sentiments. 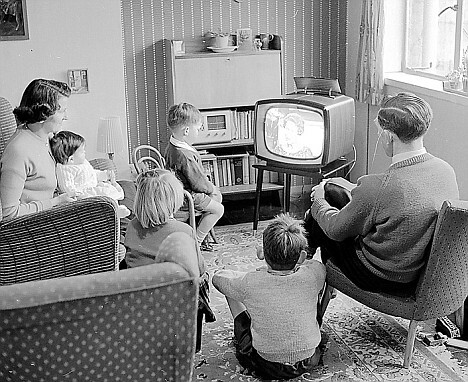 Not that it mattered much; by 2014, the Wall Street Journal estimated that the average American TV viewer’s choices included 200 channels. Orbital Sciences (and other commercial space travel business pioneers) take heart. Previous rocket scientists didn’t get it right, either. The early 1960s saw many rocket launch failures in the United States, all involving unmanned spacecraft. The biggest — and costliest — destroyed an Atlas ICBM booster with a purpose-built Centaur second stage at Cape Canaveral on March 3, 1965. It was supposed to lift a mockup of the unmanned Surveyor lunar lander into space. Instead, it managed an altitude of about 10 feet before crashing back to earth in spectacular fashion. The Atlas booster was notoriously thin-skinned, so the massive explosion didn’t come as a real surprise when its fuel tanks ruptured on impact. 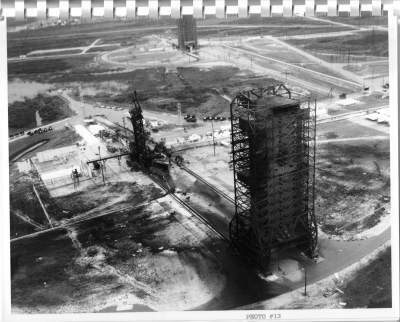 But the extensive damage to the launch pad meant NASA needed to find another launch location. Fortunately, the agency was building another pad nearby, and used it to successfully put another stack, AC-6, into action just five months later. Ironically, the combination went on to become NASA’s most productive and successful line of launch vehicles over a span of 42 years, with 181 of 197 liftoffs putting unmanned satellites in earth orbit, solar orbit, and on their way to the moon. Production studios made gritty police and detective dramas a staple of American broadcast television long before the 1960s. The early part of the decade saw the introduction of popular investigators who plied their trade in some of the most exotic locations on earth. It’s too bad these dramas hit the small screen before the advent of color television. Viewers could only imagine the vivid scenes that would later become an integral part of the series’ plot (i.e. Hawaii Five-O, Miami Vice). Surfside 6 (1960-62): Let’s see: Miami location? Check. Investigators based on a boat? Check. Casual beachside fashion? Check. All that’s missing is a live-in alligator on board. Warner Brothers Television’s Surfside 6 aired for two seasons on ABC. Sadly, it went up against two of the era’s most popular family shows, “The Andy Griffith Show” and “The Danny Thomas Show” on CBS. Troy Donahue and Van Williams co-starred in the effort, so you can’t blame Warner Brothers for trying. 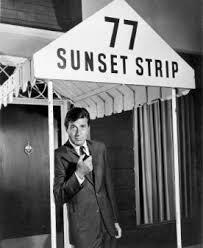 77 Sunset Strip (1958-1964): Efrem Zimbalist Jr. and Roger Smith played two Los Angeles private detectives working out of a high-style, prestigious address on Sunset Boulevard. Warner Brothers again made their location appeal obvious from the opening titles, but the biggest impression came from comic relief character Gerald Lloyd “Kookie” Kookson III, played with hair-combing, hipster campiness by actor Edd Byrnes. Coronado 9 (1960-1): By now, using the precise location in the title had become a pattern for some detective shows. Rod Cameron starred as a former U. S. Navy intelligence officer turned private detective in San Diego. He worked out of his house. Clearly, his clients had no problem tracking him down. Neither did the bad guys. The syndicated series lasted only 39 episodes. Hawaiian Eye (1959-1963): ABC/Warner Brothers cornered the television market on detective shows set on location. But Hawaiian Eye probably featured the most credible of story lines, considering Hawaii’s recent statehood and growing appeal to mainland tourists. Casting actor Robert Conrad as a part-Hawaiian character reduced the realism. April 1964 saw a pair of significant speeches by two of the 20th century’s foremost civil rights figures, delivered just days apart on opposite sides of the world. Malcolm X spoke to an audience at Cleveland’s Cory Methodist Church on April 3. He’d split from the Nation of Islam just a month before, and everyone listened to hear if the move meant a shift toward the mainstream, non-violent approach advocated by the Dr. Martin Luther King, Jr. 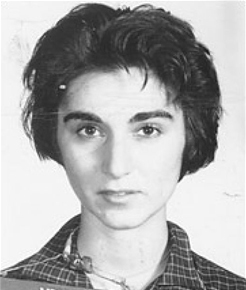 Experts anticipated Mandela to receive the death penalty at the end of the trial. Instead, the court convicted and sentenced him to life imprisonment. 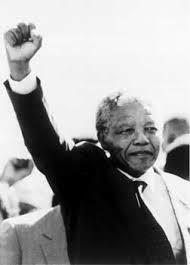 Mandela sat in stir for 27 years before he was released, and won election as President of South Africa. 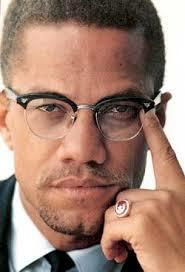 Malcolm X lost his life to an assassin’s bullet on February 25, 1965. Las Vegas endures as one of those rare places where the mass entertainment vibe of the early 1960s still survives in the United States. Its popularity lasted through the tumult of the latter half of the decade, then fought through the disco era in the 1970s, while battling a reputation as a resting place for has-been acts. Vegas rebounded in the ’80s and ’90s, and re-established itself as the country’s go-to party city for the early 21st century. Yet the reasons that earned the moniker “The Entertainment Capital of the World” seem lost to history today. Meyer Lansky. The mob accountant worked with gangster Bugsy Siegel to build the Flamingo hotel and casino in the mid 1940s, sparking the rise of a dozen more gambling-themed establishments over the next decade. 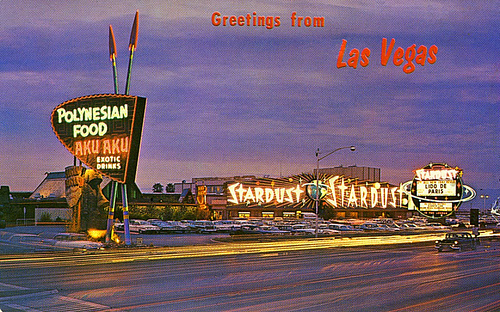 America’s Post-War affluence sent tourists — and their money — to the Fremont Street hotels, and top-name entertainers followed. Other small cities hoped to compete for the Las Vegas ticket, but Lansky’s entertainment connections in Los Angeles and New York made it a moot point. Howard Hughes. He didn’t move to Las Vegas until 1966, but his interest in the city started much earlier. The business visionary developed plans to take over the top gaming hotels and move Vegas into a modern, entertainment-focused tourist mecca. Aviator Hughes had dodged death twice while testing aircraft in the 1940s. His adventurous attitude created a new buzz for the one-time wild west outpost. Elvis Presley. The King’s association with the Entertainment Capital was highlighted by 1964’s “Viva Las Vegas”: race car driver (and helicopter pilot) Elvis enters a grand prix race being held in the city, meets a swimming instructor played by Ann-Margret, and gets a job as a waiter. Several musical-comedic scenes ensue before the climactic race against rival Ceasare Danova, and a sentimental wedding scene at the Little Church of the West. In addition to the classic theme song, the movie brought the first images of Las Vegas as a wholesome, family-friendly destination, not to mention a diversion for the spring break college crowd. Ceasar’s Palace. Motel owner Jay Sarno used $35 million in Teamster’s money to construct a landmark mega-hotel on Las Vegas Boulevard in 1962. When it finally opened 4 years later, Ceasar’s Palace boasted the biggest and best of what passed for Vegas entertainment architecture: a 14-story hotel tower, lavish water fountains, and extravagant swimming pools overlooked by statues evoking the greatness of the Roman Empire. Appropriately, Ceasar’s went on to attract the most famous entertainment figures of the decade, from the United States and overseas. The Rat Pack. The infamous band of entertainment raconteurs actually started in New York during the 1950s. The group brought its act to Nevada and turned into one of Vegas’ must-see attractions during the early 1960s. Part of the intrigue surrounding the performances was not knowing who would show up — Frank Sinatra, Dean Martin, Sammy Davis, Jr., Joey Bishop, Corbett Monica, Peter Lawford — whom they would bring along, and what they’d do when they got there. The unpredicability of the Rat Pack further enhanced what would become the “what happens in Vegas, stays in Vegas” philosophy. History hardly remembers anyone who is the second to do anything important. 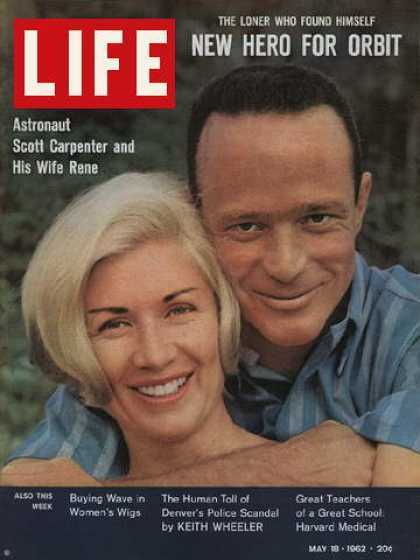 Such is the case of NASA astronaut Scott Carpenter, who was only the second American to orbit the earth on May 24, 1962. Carpenter followed John Glenn’s historic Friendship 7 flight, but few people recall how Carpenter got his assignment, what happened when he was in space, nor even what he named his Mercury capsule (Aurora 7). NASA meant to put Donald “Deke” Slayton into orbit after Glenn, but Slayton’s heart murmur diagnosis kept him earthbound, and the space agency pressed backup Carpenter into action. Carpenter’s flight started smoothly enough. Then, his spacecraft used too much fuel and suffered a guidance failure during re-entry. It sent Aurora 7 more than 200 miles past the Atlantic Ocean recovery zone. While the Navy picked up other astronauts within minutes after splashdown, it took searchers three hours to find Carpenter, during which commentators questioned if he’d actually survived the trip. Ironically, the second NASA orbital mission developed an unusual curse. Two years after Slayton’s grounding, Carpenter himself was found medically unfit for further spaceflight after injuring his arm in a motorbike accident. Undaunted, Carpenter took his pioneering spirit beneath the sea. He spent 28 days living in the Navy’s Sealab II on the ocean floor near California in 1965.